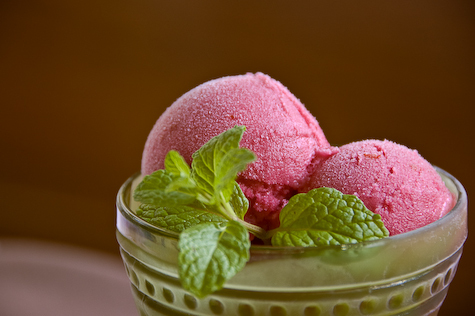 Sorbet is so easy to make at home, I don't know why everyone isn't doing it! While classic flavors are at the top of any beginner's hit list - strawberry, raspberry, lemon, watermelon - there are so many different combinations you can produce from your garden alone! Ready to branch out? Here are 5 elegant fruity-herbal combinations that are sure to be a hit this summer! The most traditional semi-savory sorbet, a natural refresher. Infused with red wine, this sorbet is incredibly rich and delightful. Sweet-tart grapefruit makes the perfect base for this tasty palette cleansing sorbet. The tartness of the cranberries is off set by the creaminess of the fresh vanilla seeds.